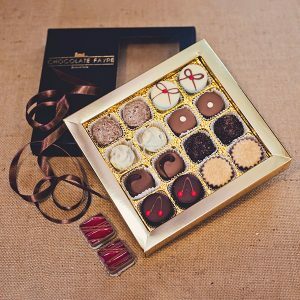 A collection of deliciously dark chocolates. 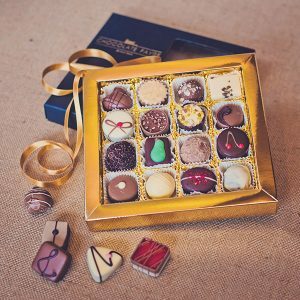 A selection of chocolates and truffles which are all based around rich, fine dark chocolate, including nuts, pralines, fruit flavours, alcoholic flavours, caramels, perhaps even a marzipan or a coffee. 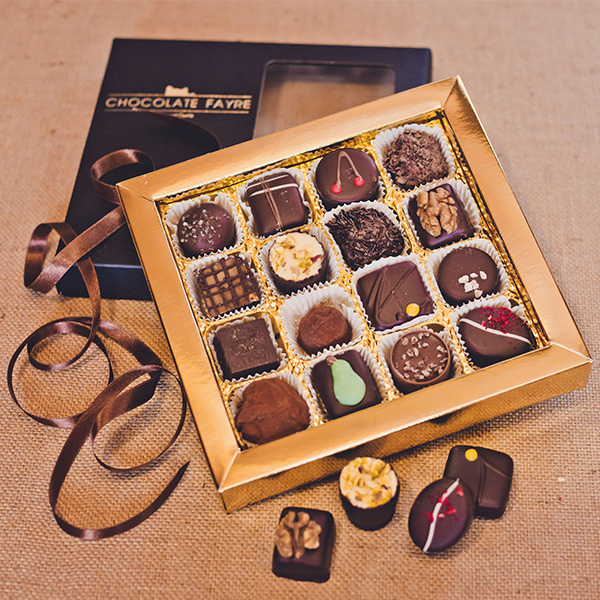 Some chocolates may also have elements of milk or white chocolate. 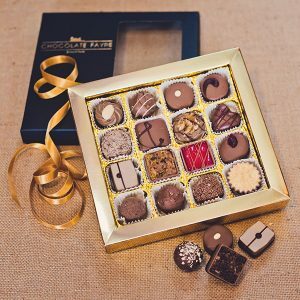 At least one of the chocolates in this collection contain one (or all) of the following: milk, soya, nuts (almonds hazelnuts, pistachio, walnut), gluten. A collection of magnificent milk chocolates.